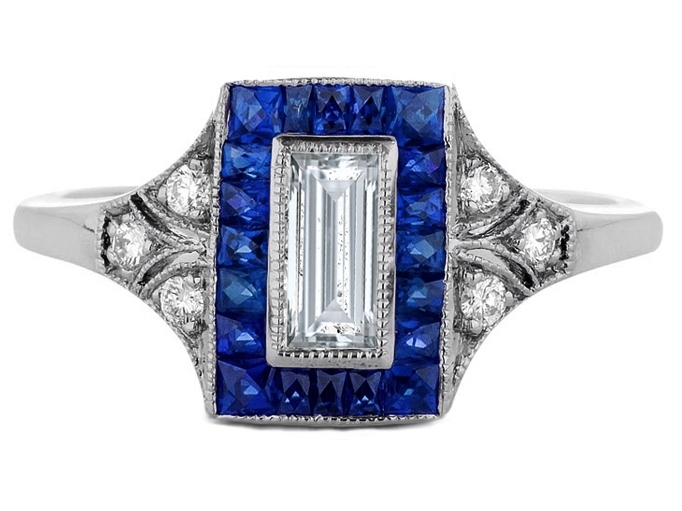 Straight Baguette Art-Deco Engagement Ring setting, features square cut blue sapphire gem stones and round diamonds, set in 14K White Gold. Designed for a straight baguette cut diamond from 1/2 carat and up. (shown with 1 carat center). Please contact us to choose a center diamond.